Carlisle- Gary N. Collins, 57, of Little York Road, succumbed to injuries that he sustained with a car while riding his motorcycle. Born November 22, 1960 in Cobleskill, he is the son of Norma (Bearden) Collins and the late Duane “Tip” Collins. Gary was a graduate of the former Cobleskill Central School. 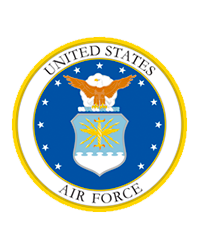 He was a United States Air Force veteran, proudly serving his country for nine years cumulative with the Air National Guard. 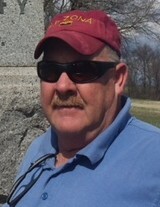 Retiring in 2015, Gary was employed at SUNY Cobleskill for many years as a stationary engineer. He was a man of many talents, building his family home and then rebuilding it several times after the initial one. He took great pride in his work and found pleasure at his home. Gary was an outdoor enthusiast, building and flying his airplanes, fishing, sailing and traveling. Recently he and his wife, Nancy, enjoyed their snowbird time in FL in their RV. He was preceased by his sister, Jill Suchocki, who died June 1, 2010. Cherishing his memories are his wife, Nancy (Minisci) Collins, whom he married October 11, 1986; two children: Peter (Ginger) Collins of Toccoa, GA, and Jennifer Collins of Kingman, AZ; his mother, Norma Collins of Cobleskill; brother, Kevin (Ann) Collins of Hyndsville; father-in-law, Frank Minisci; sister-in-law, Marie Cohen; brother-in-law, Frank Minisci, Jr.; and several nieces and nephews. A funeral service on Wednesday, June 27, 2018 at 10 AM at Mereness-Putnam Funeral Home, 171 Elm St., Cobleskill. Officiating will be Rev. Jeffrey Smith of the Richmondville United Methodist Church. Burial with military honors will follow at Lawyersville Cemetery. Family and friends are also invited to a period of visitation to be held from 6 to 8 PM on Tuesday at the funeral home.